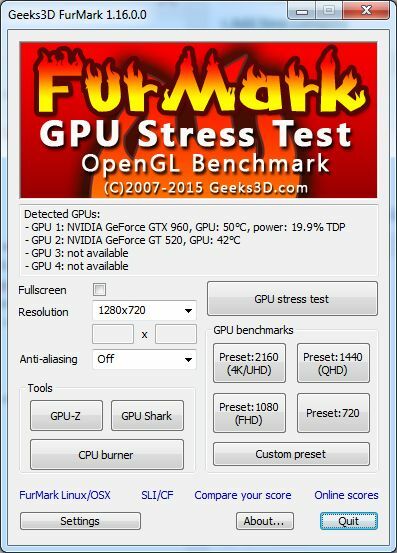 A new version of FurMark, the GPU burner utility, is available. This update adds the support of latest NVIDIA GeForce (GTX 980 Ti, GTX 900M series) and AMD Radeon graphics cards (R9 Fury X, R9/R7 300 family). GPU Shark and GPU-Z have been updated with their latest versions. Two new presets have been added for UHD (3840×2160) and QHD (2560×1440) resolutions. Top-20 scores for Preset:1080, Preset:1440 and Preset:2160 can be found HERE. + added new presets: P1440 (QHD) and P2160 (4K/UHD). + added a new command line param to disable the checking of new versions: /no_check_new_version. 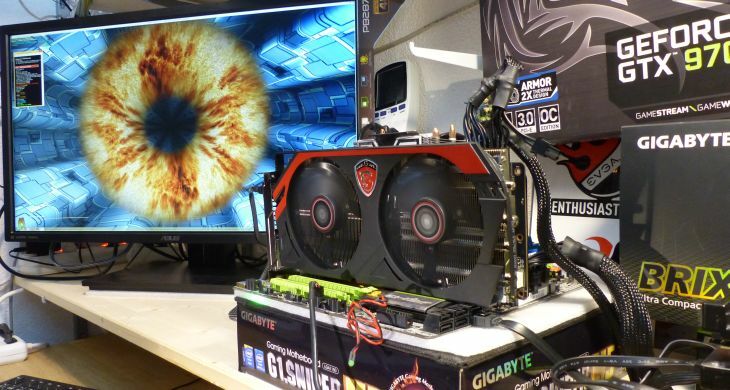 + added Radeon Radeon R9 Fury X, R9 390X, R9 390, R9 380, R7 370, R7 360, R7 350 and R7 340 support. + added GeForce GT 940M, GT 930M and GTX 920M. Open render window at pre-defined postion. Windowed mode works fine over 2 monitors but i have to drag the window with the mouse to see it completely. Okay, I could turn the fuzzy object on and off, When it was on, everything slowed to about 1 fps. When it was off, the background was turning smoothly. What does any of this actually mean? Is my graphics card working or not? I’ve been getting really poor performance while web browsing and watching videos. I suspect the card, but I got no useful information from this test. What am I doing wrong? Compare your GPU to similar ones in the database.